Fr. Marshal Moran, S.J. of the Patna Province of the Society of Jesus visited Nepal in October 1949 and while he was in Kathmandu, the possibility of a Jesuit school in Nepal was discussed with the then government officials. On November 1950, General Mrigendra Shamsher Rana, the Director of Public Education in Nepal, visited Patna to inform Fr. Moran that the Government of Nepal wanted the Jesuits to start a school in Nepal. After getting the necessary approvals from the superiors of the Society of Jesus, Fr. Moran together with Fr. Francis Murphy and Fr. Ed Saxton arrived in Kathmandu on June 6, 1951 and proceeded to Godavari, a village 15 K.M. far from Kathmandu where the government offered them land, a few old buildings and horse stables. They had brought along with them the provisions to meet the immediate needs for settling down in Godavari. Though there were a number of buildings already existing in the proposed school site, they were not suited for starting a school. The pioneers underwent a lot of struggle to convert these rooms into classrooms with amazing speed and alacrity. On July 1, 1951 the first batch of sixty five students were admitted into the school at St. Xavier’s Godavari. As a result of the steady growth in the number of students, the Primary Section was shifted to Jawalakhel in the city in 1954. The purpose was to have the primary section at Jawalakhel and the High School Section at Godavari. In the years to come many more adaptations were done to absorb the growing demand of quality education provided in St. Xavier’s. 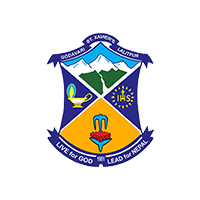 Eventually St. Xavier’s Jawalakhel became a full-fledged High School and St. Xavier’s Godavari became fully a Primary Boys Boarding School that accommodated the strength of 250 boarders in the course of time. It continued to be a residential boarding school catering mainly to the upper strata of the nation for 44 years.